As a relative newcomer (I settled here in 2005), I probably see New Mexico differently from people who were born here or have lived here for many years. There are things about the state that strike me as being unexpected, incongruous really, and also vividly representative of dangers the entire country–even the world–needs to address. As I worked on this blog, I began to envision a map of the state divided exactly in half by a line north to south. In my imagination, the right half was full of images of the past–the volcanoes, uninhabited wide open spaces, pueblo ruins, and archived history. On the left side of the map, three images that ground us in the present and also evoke the future stand out under a clear blue sky. One is an installation under construction. The other two are huge complexes that were established in sequence decades ago. I will begin with the one under construction. New Mexico is proud and grateful to have been selected as host of a new Facebook Data Center that will be based on a 330-acre campus in Los Lunas a few miles south of Albuquerque. This is one of 10 massive projects Facebook is or will be operating around the globe. Construction on a total of six buildings is predicted to continue until 2023. Estimates about the number of long-term employees it will create and the tax revenue it will generate are fluid. However, there is great excitement about how this development could attract other “technology employers” in a state much in need of jobs. I too thought this looked very promising until I did some research on data centers and began to have a little trouble breathing. I have to admit that I didn’t really know what approximately three million data centers across the country do, much less how much energy they require. I also didn’t realize that every time I “like” a Facebook post, that piece of data has to be stored. It’s Internet use that drives the demand for data centers. The flow of communication and information the Internet facilitates feels largely free to most of us, but the energy cost of storing all the data it comprises is enormous. I found horrifying estimates about the growing demand for data capacity. The US Energy Department did a study of energy use in 2014, the most recent year examined, and discovered that data centers consumed about 70 billion kilowatt-hours of electricity, about the amount consumed by 6.4 million average American homes. Think of all the oil, gas, and coal used to create that power, the environmental damage, and the effect on climate change. However, I calmed down when I learned that the tech geniuses are steadily increasing efficiency in the biggest installations. In addition, the giants like Facebook, Google, Microsoft, and Amazon are focusing on renewable sources of power. In fact, Facebook’s initial source of power in New Mexico will be solar, and arrangements are being made with PNM, our primary energy resource center, to provide wind energy as well. Nevertheless, these hyper-energy efficient data centers represent only a fraction of the total nationwide. And the Facebook site in Los Lunas will have an interesting challenge because of the climate. These centers create a tremendous amount of heat. That’s one reason why Facebook opened a major data center in Sweden in a mining town called Lulea. The 84-acre site encompasses tens of thousands of computer servers that require 500 huge fans to cool them–even though the site is 70 miles from the Arctic Circle. I wonder how many fans will be needed in Los Lunas in the summer. And with global warming advancing. . . .
One also wonders about the security of these huge sites, and that brings me to my next topic. How odd that in a state ranking near the bottom in all measurements of educational achievement, New Mexico is the site of these two hot spots of advanced degrees and scientific brilliance. Each is staffed by approximately 10,000 people and has an annual budget of over $2 billion. They are a great economic boon to the state. 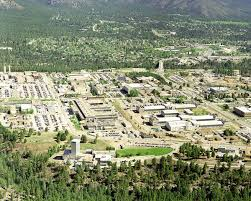 Los Alamos was established in 1942 as a secure site for the development of nuclear weapons in the Manhattan Project. Sandia was established in 1948 to test the non-nuclear components of nuclear weapons. Both have now diversified into a wide variety of research fields including space exploration, renewable energy, medicine, and computational earth sciences. It’s ironic that Los Alamos is only about 16 miles from the Valles Caldera, site of an enormous volcanic explosion about a million years earlier. I wonder how the magnitude of that eruption would compare with the force of the first nuclear bomb, code name Trinity, detonated on open land about 230 miles south. 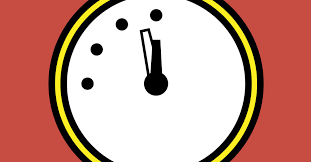 The word is that when World War II came to an end, many of the scientists who had been involved in developing nuclear weapons left Los Alamos, never to return, as in the Native Americans who left Chaco Canyon and the Salinas Pueblos. The scientists were concerned that this knowledge would travel, and it did. Now nine other countries–Russia, Great Britain, France, China, India, Israel, Pakistan, and North Korea also have nuclear weaponry. So now what? This is a case in which a dangerous genie escaped from the bottle and proceeded to country-hop. The idea among the nuclear-armed countries seems to be that an arsenal that is a huge threat will create peace or at least stasis. In that light, Los Alamos has been directed by the Energy Department to ramp up production of the plutonium cores (called nuclear pits) to “upgrade” our weaponry. However, there have been several accidents with dangerous materials recently that have contributed to delaying this activity–or perhaps some very smart people are stalling for other reasons. Is it possible that a different perspective is pending? If so, this could be supported in part by a new book by Daniel Ellsberg, The Doomsday Machine:Confessions of a Nuclear War Planner. (I’ve read only a review of it.) He was the one who released the Pentagon Papers on the Vietnam War, which he considered a crime, and he has worried ever since about the possibility of nuclear war. One of Ellsberg’s concerns is that it could start by accident, and he provides examples of how this could happen. The recent false alarm in Hawaii that panicked residents and visitors about a possible attack by North Korea provided a timely illustration. 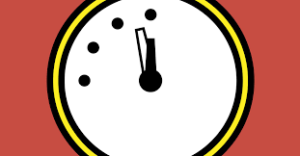 At the end of their statement, the scientists provide a list of recommendations about things that could be done in many zones to move the hands on the Doomsday Clock backward. Everybody has to participate in this, of course, and I think New Mexico has something special to offer in this regard. After all, we have these sites that will be a constant reminder of the critical issues. And as I have said before, the beautiful light and wide-open landscapes here seem to encourage creative and out-of-the-box thinking, which attracts people who are so inclined. There is reason for hope here. After all, we live in an era when great ideas can travel the world as fast as their opposite.